A high-quality and low-maintenance lawn can be grown from seed rather than sod or sprigs. The secret to success is to find low-growing or short grass seed varieties to plant. Also, you must choose short grass seed varieties that are adapted to the part of the the country where you live. Many grasses grown from seed can grow to 5 feet tall or more. Grasses considered "short" grow to 18 inches tall if not mowed regularly. There are several varieties of Bermuda grass. Most hybrid varieties, such as those used on golf courses, are reproduced from sprigs, while others, such as the OKS-911 and Jackpot varieties, can be planted from seed. 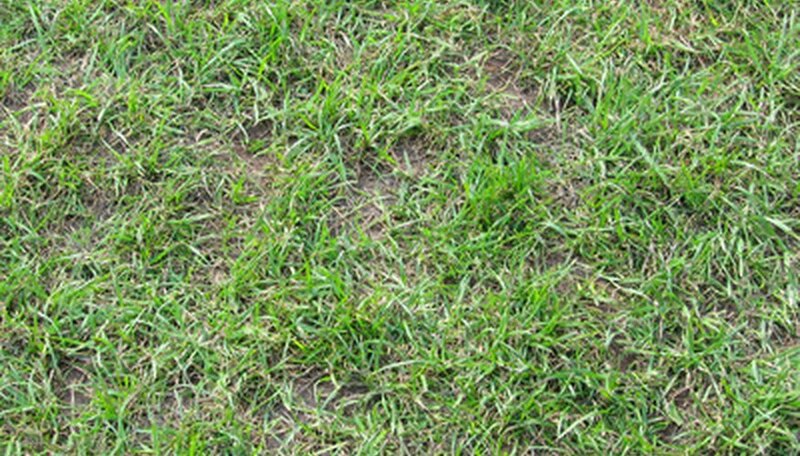 Common Bermuda grass is usually seeded for a quick cover in a lawn or pasture. The height of Bermuda grass ranges from 5 to 18 inches, depending on the variety. It spreads by seed as well as underground rhizomes. Bermuda grass grows best in deep sandy loam with a pH level of 5.5 or higher. It is planted extensively in the southern half of the United States. Buffalo grass grows naturally to 8 to 10 inches high and is native to the Great Plains section of the United States and makes a durable low-growing grass for lawns or pastures. It grows in clumps with extensive root systems rather than spreading rhizomes like popular turf grasses such as Bermuda grass or St. Augustine grass. Buffalo grass is not suitable for sandy soils. It grows best where the annual rainfall amount is between 15 and 30 inches annually. Blue grama grass grows naturally in the Great Plains area of the United States. It is more adaptable to sandy soils than buffalo grass and can be started from seed. The seeds sprout quickly in warm soil when provided supplemental irrigation. It is a bunch grass that is cold and drought tolerant. It is often used in natural areas as well as for a maintenance-free lawn. The eventual height if not mowed can be up to 10 inches. Centipede grass grows best in the sandy acidic soils of the Southeastern United States. It is often called the "lazy man's grass" because it is low growing and grows well in poor soils as long as it receives at least 40 inches of annual rainfall. It spreads by rhizomes and is similar in appearance to St. Augustine grass, but has a lighter green color. Centipede grass is often damaged by over-fertilization because some people find the lighter green color undesirable. Centipede grass grows up to 6 inches tall if not mowed on a regular basis.